A wonderfully gentle and relaxing class that is sure to calm the mind, nourish the body and lift your spirits. The first half of the class Lori will focus on gentle asanas, using props to assist in mild stretches and deep relaxation and awareness. 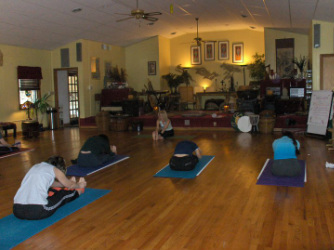 The remaining portion of the class will be devoted to a deep, guided relaxation using adjustments, pranayama, Reiki and other techniques. Whether you are new to yoga, a seasoned practitioner, have limited flexibility or in serious need of some de-stressing, this class will truly nourish your body, mind and spirit. This class is suitable for everyone. No experience is necessary.